When was the last time you checked yellow pages or a telephone directory to know about local businesses? Probably never in the last ten years! The greater penetration of mobile phones, growing market share of smart phones and better network connectivity have changed the way we search for things and even buy them. When there is such a shift in the way businesses are searched for or purchased from, the vendors can hardly afford to stay traditional. We look at seven important steps for a small business to undertake while revamping their online presence. Is online the place for your business – If this question has crossed your mind, chances are you didn’t know the following facts. 81% of consumers conduct research online before making a purchase. 70% of mobile searchers call a business directly from Search. Almost 90% of small business owners confirm that online marketing has helped them get new customers. So, whatever your business, having digital marketing in your mix is always beneficial. Depending on the segment that you are in, the budget or spread of digital marketing will vary, but online marketing is here to stay and small businesses need to be there to attract the right audience. Asses your target audience- If you have past data to rely on then understand your audience and segment them based on age, demographic, interests etc. If your physical store is new, ask your walk-in audience for their feedback. 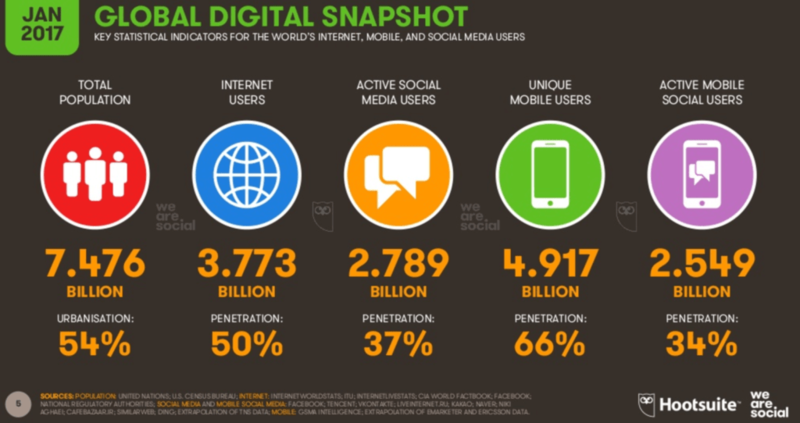 Check out where in the digital space is your competition? If you have a website, see where the traffic is coming from. This data about your audience will help you understand the right places to invest in. For eg: If you are a restaurant, you might figure out that your audience prefers take-away and offering a discount on referral’s during weekdays will help increase your revenue. You can even increase the ad spend to reach more audience if you know your top referral sites. If you are a new business and planning to start with online marketing, then such data will help you figure out your audience presence online and based on that you could start with one or two popular network. Audit your channels – If you have been doing a half-hearted effort on the online marketing front, then it’s time to audit the channels. Figure out which work for you and which don’t. If a channel isn’t helping you, you could even consider closing the same. Check if you have been posting regularly and what is the reach you have garnered? Can it be increased with some dedicated time for social media marketing? Is Google Adwords a good fit for you? These questions need to be answered before plunging head first into online marketing. Do check the speed of your website. A slow loading website translates to loss in business as online customers today are impatient. Message and Media – Gone are the days when just a status update was enough to sustain your online marketing effort. The marketing posts from a business need to have a strong call to action, sharable images and attention grabbing headlines. Online audience is impatient. A study suggested that a one second delay is page load leads to 7% loss in conversions. Make your message interesting and engaging. Include lead generation forms, Ask for feedback and opinions, Always keep an eye on competition and do an evaluation of what can be improved. Optimize the landing pages- Landing pages are the pages where a user is taken once he clicks on an advertisement, or a post or a tweet. Make sure the landing page is relevant and offers what your advertisement promotes. Do ensure that the landing page offers the conversion that it seeks by good images, crisp messages and requires no further clicks by the user or there could be a loss in translation. Use automation tools to get the job done – Managing a small business means doing a lot of things hand’s on. Add to it the online marketing process and at times things can get too overwhelming. Try and figure out automation tools that will help you with timely messaging. There are many tools available in the market that can ease up the pressure in terms of posting like Buffer, HootSuite, Co-schedule etc. You could also hire a freelance marketer to ensure you get the job done professionally and within budget. Utilize Google – Google Analytics helps monitor a lot of online marketing effort and that too for free. Keep a track of your business performance online using analytics. Set goals in analytics and monitor your progress in achieving those goals. The reports also segment the traffic in –paid, organic, social media referrals while giving you a channel wise break-up of traffic. If you run any promotions online the click-through rate and conversions for the same too can be analysed with Google. Running a full-fledged business, while doing online marketing can seem like a mammoth task, however these tips will help you gain some semblance and put you on the right track towards establishing your digital media marketing presence and growing your business online. Neha Tambe is a certified Google Adwords Professional with a rich experience in helping small and medium businesses figure out the digital marketing space. Well explained Neha. Digital marketing is now a must have for every business – big or small. As you have pointed out that people first check your online presence even before meeting you. So companies need to be persistent and consistent with the messages on different channels and media. The checkpoints you have mentioned should help any small business in their digital marketing efforts. thanks for stopping by Somali. Too good , nice information .